In the airport to be precise. Walking round during a 5 hour wait for a connection I couldn’t help noticing a number of W H Smith shops and Dixons. 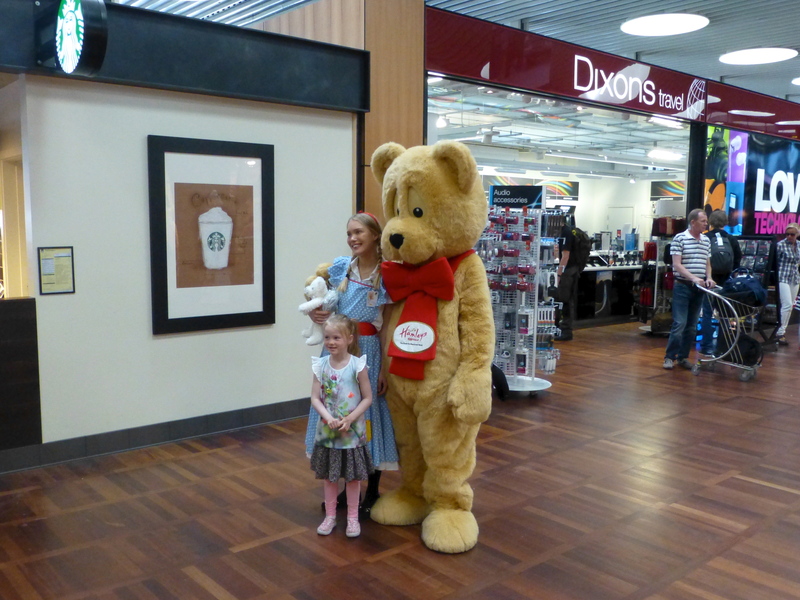 The prize must go to Hamley’s toy shop however which provided a life-size cuddly bear and its Danish minder to amuse the passengers especially the children who queued up to be photographed with them. This entry was posted in Childhood, Happiness, Lifestyle and tagged British firms, Copenhagen, Dixons, Hamleys, Kastrup airport, travel, W H Smith.